Join one of mid-Missouri’s premier party bands as they rock through a mix of your favorite songs at the Blue Note. 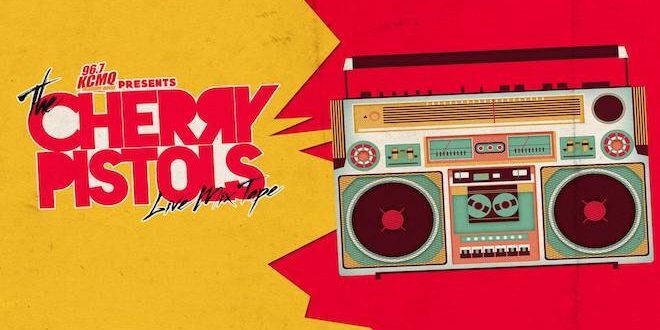 The Cherry Pistols serve up a delicious mix of rock, pop, and funk from the 80’s. Voted Jefferson City’s “Best Band” 3 years in a row, The Cherry Pistol’s have amassed a strong following playing venues around Mid-Missouri and Lake of the Ozarks. When you’re partying with The Cherry Pistols you’ll hear everything from Journey and Van Halen to Bon Jovi and Elton John- and loads of awesome tunes that will keep your feet on the dance floor and your hands in the air! Listen to their performance in studio with The Morning Shag! WIN TICKETS all this week with Nicci and ‘Too Tough Classic Rock Trivia’ at 11:05a!